Safe Bathing Canada is proud to provide homeowners in Niagara Falls with safety bathtubs that help boost their confidence and help them to remain independent for longer. These are just some of the incredible benefits of safety tubs. Walk-in bathtubs provide elderly and disabled individuals in Niagara Falls the opportunity to enjoy safe baths in the privacy of their own homes. By drastically reducing the risk of bathroom accidents, Safe Bathing Canada enables them to remain in their homes longer, rather than moving to assisted living facilities. Safety bathtubs contain watertight side doors that allow users to walk into the tub, rather than risking slips and falls by having to step over the rim of the tub to get in and out of the bath. Safe Bathing Canada's safety tubs are available nationwide, including in Niagara Falls, Milton, Hamilton, Barrie, St. Catharines, Oakville and the rest of Ontario. 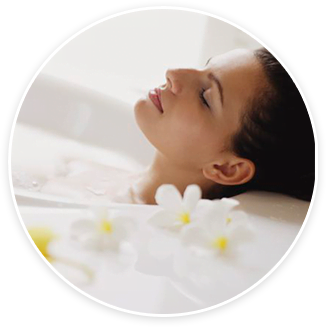 Our friendly, licensed consultants are helpful and knowledgeable about disability and safe bathing, and are committed to providing expedient service. We are proud to offer a wide range of safe bathing options to our community in the beautiful state of Ontario. Let us transform your bathroom into a sanctuary, and provide you with safety, peace of mind and independence. Our safety tub installations specialists are fully qualified, insured and licensed. 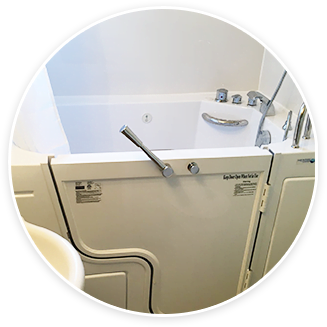 They combine many years of experience and can often complete a safety tub installation in as little as a day. Contact Safe Bathing Canada today on 1-844-400-SAFE (7233).